on December 20. What makes my log perhaps a little unique is that I have not only logged these miles (started January 1, 1977), but I've kept track of every person I've ever run with and post this list known as "Follett Miles", and I've also kept track of every single wildlife sighting from nearly 17,000 deer to exotic animals like Ibex & Monkeys to dangerous animals like Mountain lions & Wild Boars. In my log I have kept track of every shoe I've worn since 1973. Also in my online log is a 41 year Autobiography of my running- I've run, coached, and traveled to many parts of the world to watch my oldest daughter, Katie Mackey of the Brooks Beasts, complete. As long as I can remember, I have loved writing things down and documenting them. I have kept a detailed diary of my life, kept a detailed record of my finances and budget, etc. To me "it didn't count unless I wrote it down". In January of 1977, my Dad encouraged me to start documenting how much I was running. As I started this log, I not only wrote down how much I was running, but who I ran with and how much with each person. I also kept track of which shoes I was running in, the weather, and for me, the most fun was documenting wildlife sightings. With all these stats I could makes charts and graphs, see trends and set goals. When people ran with me, I gave them "Follett miles". For this reason, I believe many people ran with me that might have otherwise not cared, just so they could move up on my "Follett Miles Running Partners" list! I started teaching High School Math and coaching Cross Country and Track in 1983. During the summers, my wife and I led four Track team projects in Scandinavia, Switzerland and Belgium with Athletes in Action. Teaching, coaching and traveling in the summers were great experiences and through them I have developed life long friendships and running partners. Our family loved to travel, and as the children got older we always worked in a run on our vacations. We visited new places with the goal of running in every state and several foriegn countries (22 countries in all). Many of the states and most of the foriegn countries were visited while following my daughters to their college cross country and track meets. When my oldest daughter, Katie Mackey, gradruated from the University of Washington and joined the Brooks Beasts professional track club, I was able to travel around the world to see her compete. Some of the highlights included seeing her race in the World Relays in the Bahamas and setting an American Record in the 4x1500 meters, seeing her race in the Continental Cup in Marrakesh, Morrocco for Team Americas, and winning a 3000 meter Diamond Leage race in Stockholm, Sweden. I set my goal of running 100,000 miles in September of 1981 when I reached 10,000 miles. 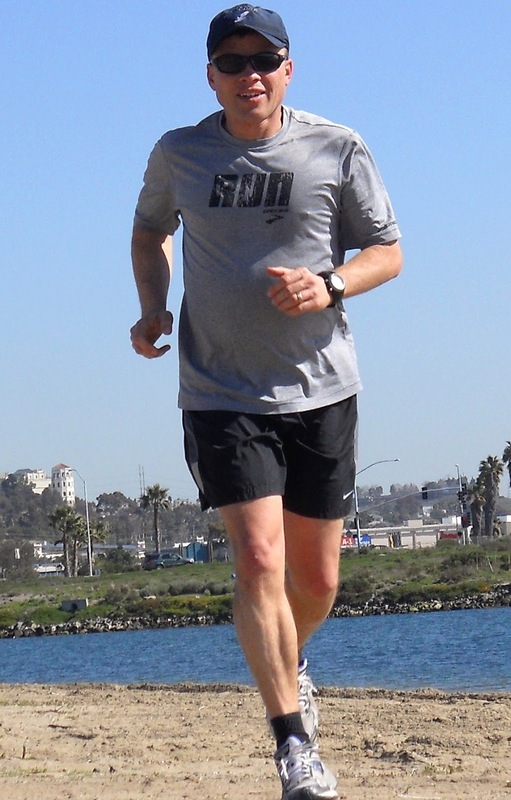 I did the math and figured it was doable to run 100,000 miles in the next thirty-five to forty years if I could stay healthy and be consistent. Looking back, I'd say one of the hardest parts of reaching the milestone was finding time every day while working and raising a family to carve out one to two hours to get in a run. Most of my miles were in Colorado, so winter always presented a challenge with snowstorms and early sunsets. I also have a lot of other interests like backpacking in the summer and hunting in the fall, so again it was figuring out how I would get my run in with everything else I enjoyed doing throughout the year. Over my 41 years of running, I raced only about one to three times each year. I raced everything from the mile (4:25.1) in high school to six different ultra-marathons by the time I was in my 30s. Trail races over tough terrain were my favorites over the years. My first marathon was the Rawhide Marathon in my home-town of Fort Collins, Colorado, in which I ran 2:49:50 in October of 1984. My second marathon was the Colorado Marathon, again in my home-town of Fort Collins, ran when I turned 50 years old in 3:52. I loved trail races running the 35 mile Doc Holiday Trail Race in Glenwood Springs, Colorado, the 16 mile Pony Express Trail Race in Monument, Colorado (finishing 3rd), the 19k Frutigen to Adelboden Climb in Switzerland, the 13.1 Peak to Peak Trail Race in Estes Park, Colorado, the 14 mile Pikes Peak Ascent (in 2:58), and the 26 mile Valley View Trail Race in Glenwood Springs, Colorado. My best races were three 50k trail races run in the early 1990s. I ran and won the Phd 50k Trail Race in Fort Collins, Colorado in December of 1992. I took 3rd overall in the Colorado Trail 50k held in Waterton Canyon, just outside of Denver, Colorado in September of 1993. Then I defended my title in the Phd 50k Trail race in December of 1993, winning in my best 50k time of 3:29:40. I've gotten a lot out of running over the years, and probably the best part was running with my wife and daughters and having hours and hours to talk and grow closer. Through these runs, running gave a lot back to me. I will continue to run, but having to put in close to 50 miles per week won't be 'required' now that I've met the 100,000 mile goal.